It was only when I was uploading new photos I twigged what was so different! just looks a lot tidier at the front now. Ive just noticed that it's cross branded... Old logo on the side, new on the front. I love these darts, and think they are fantastic to drive and ride in. These darts (72-79) have 3.9l engines, which sound lovely; much deeper and much better than other Darts with 5.9l engines, however they have so little power they do struggle with some steep areas of Plymouth, e.g. Eggbuckland/Southway. The 56-reg Enviros have the best engines in the fleet. They have 4.5l engines, so still sound 'deep' and nice, but have the power to get up hills relitavely easily. Back in December 135 was on the 5, managed to climb the hills in Staddiscombe perfectly. The 08-reg Enviros do have unusually large engines; 6.7l. I personally would've ordered the 08-reg Enviros with 4.5l engines, as they do the job perfectly, and must be a lot more fuel efficient, being 2100cc smaller! Thwy are in need of some TLC the paintjobs are bad in my opinion, except 74/76. Good buses have them regularly on 29 but even they seem to have been replaced with the 2s. They definitely need some work doing to them. They seem to appear mainly on the 29+43B (they 'change into eachother'), quite often the 40/41, and also quite regularly recently the 28/A/35. 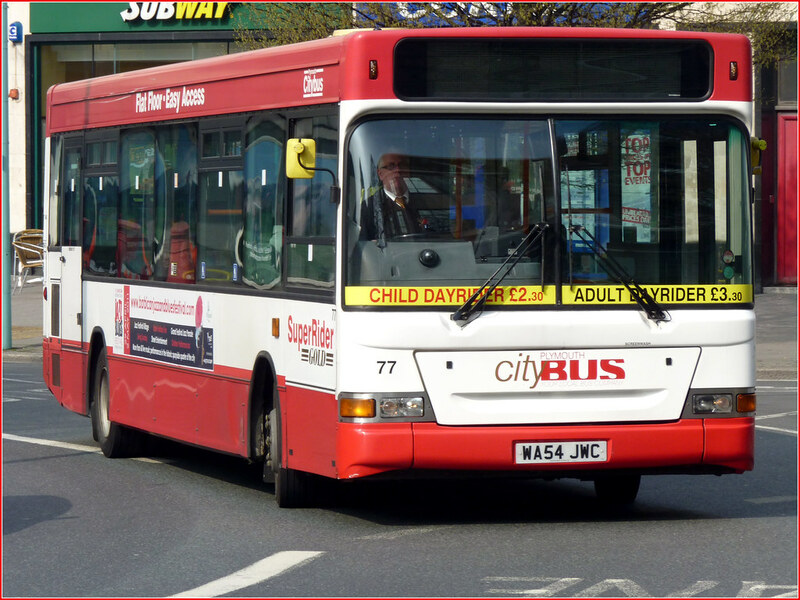 I noticed 79 (WA54JWE) sounding pretty awful the other day, along with 205 (WA03BJF - a Mini Dart), the back window on the left hand side has got so much water in it, you think it's going to come out; it comes about a good third up the window! 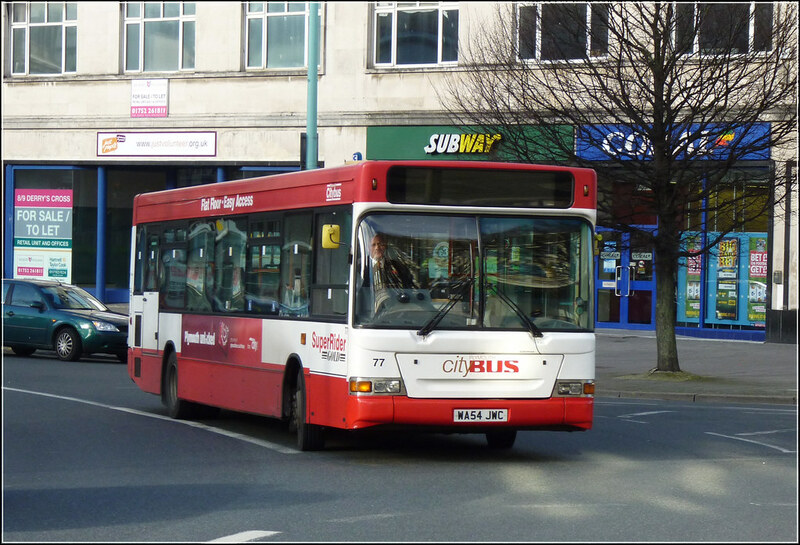 I think I actually quite like the livery worn on them (apart from 74+76), I doubt they will be repainted into the livery 74+76 have, I would imagine they will be put straight into the new Go-Ahead livery shown on 67,133, and a few Plaxton Presidents.